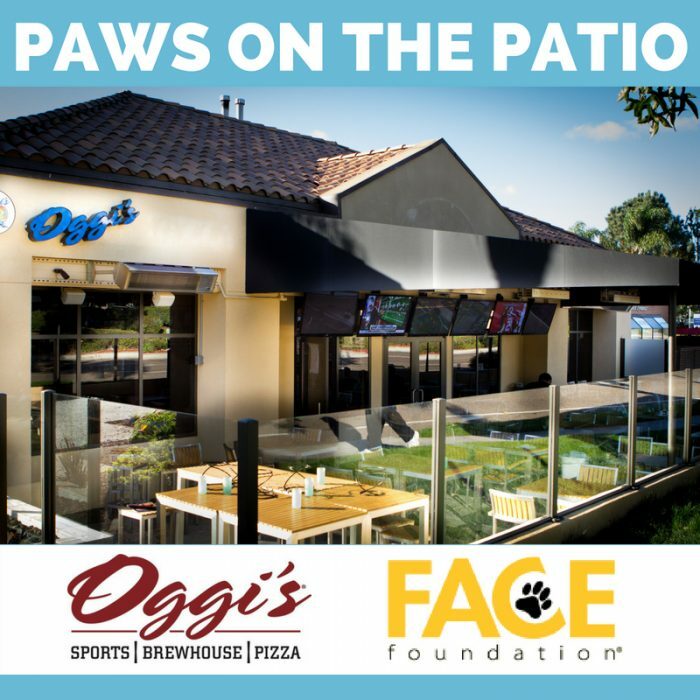 Enjoy a delicious meal at Oggi’s Del Mar during the month of August and 10% of your bill will be donated to FACE Foundation! Bring your pup to relax on Oggi’s dog-friendly patio and grab a bite to eat, all while knowing your meal is going to a good cause. MUST BRING FLYER. To print, click here. Post a photo of you & your dog on Oggi’s Del Mar’s patio to Instagram with #OggisPawsOnThePatio & you’ll be automatically entered in a drawing to win a $25 Oggi’s Del Mar gift card. 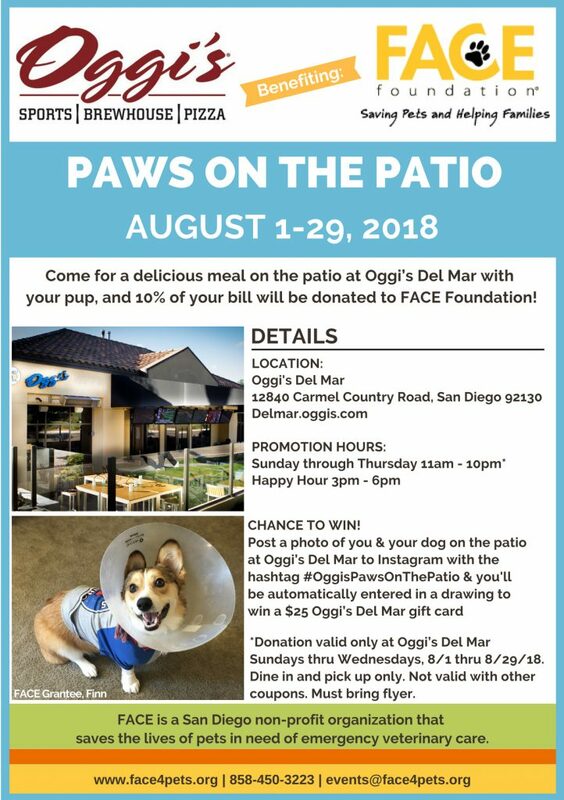 Please note: Donation valid only at Oggi’s Del Mar Sundays thru Wednesdays, 8/1 thru 8/31/18. Dine in and pick up only. Not valid with other coupons. Must bring flyer.